Use multiple treatment methods such as chiropractic and acupuncture to help you feel better fast. Our ability to combine different treatments sets us apart from other offices and clinics. We treat injuries head to toe. We treat patients both pre and post surgery. We treat the source of the dysfunction that is causing your pain to provide a quick and more permanent resolution. 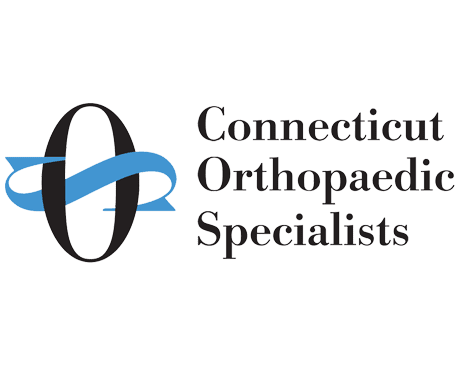 Active Health is a "preferred provider" of Connecticut Orthopedic Specialists (COS). "I have been in the care of Dr. Mike...for years. Every visit has been outstanding." "I am so grateful to Dr. Mike and his staff for introducing me to this therapy!" "Amazing group of people. I would highly recommend stopping by Active Health." "Thanks so much for literally getting me back on my feet." "Dr. Mike is...an awesome chiropractor. I would recommend him to everyone!" "I have had an excellent experience with Dr. Orefice." "Great staff! Dr. Mike Orefice has been fantastic in treating two back injuries." "Dr. Mike Orefice is always professional and is the best at what he does." "Dr. Mike Orefice has helped me with different overuse injuries I have encountered." "He assisted me in making a full recovery. Dr. Orefice is a great professional!" Dr. Michael Orefice, of Active Health in Milford, Connecticut, is more than a typical chiropractor. He also performs acupuncture and is full-body certified in Active Release Techniques® (ART®) treatments. He’s also trained in the state-of-the-art Graston Technique® therapy. Dr. Mike, as his patients call him, specializes in sports medicine, chiropractic care, and acupuncture to treat soft tissue and musculoskeletal injuries and problems. He creates customized treatment plans to help patients of all ages and abilities get incredible results. He strives to offer men and women in the Milford area and surrounding communities relief from pain, restored mobility, and the ability to live a more active lifestyle. Dr. Mike received his bachelor of science degree from Quinnipiac University in Hamden, Connecticut, and went on to earn his Doctor of Chiropractic degree from the University of Bridgeport in Bridgeport, Connecticut. He continued his training completing the McMaster Contemporary Acupuncture Program through the Department of Anesthesia at McMaster University in Hamilton, Ontario, Canada. As a sports enthusiast and Crossfit participant, Dr. Mike is also certified as a personal trainer by the National Academy of Sports Medicine. As a sports chiropractor, he successfully treats patients from elite athletes to non-athletes. Some of these issues include back and neck pain, shoulder injuries, elbow and wrist problems, sciatic and hip issues, along with knee, ankle, and foot pain, to name a few. Additionally, Dr. Mike works on-site at local corporations to treat chronic pain from overuse, repetition, and workplace strains and sprains through ART’s Corporate Solutions Program. Dr. Mike has worked with Olympic gold medalists, University of Connecticut women’s basketball team athletes, and New England Patriots football players. Active health is proud to announce Dr. Mike has accepted a part time role assisting student athletes recover from sports injuries off the field. He provides assistance to the Orthopedic and Athletic training staff. Dr. Mike performs Acupuncture, soft tissue treatment in the form of Active Release Techniques and Chiropractic joint manipulations as needed. Call to see if the treatment is right for you! *We are in network with most major insurance companies. This means less out of pocket expenses and lower co-pays. Call today for a complimentary verification of benefits. Why Chiropractic and Crossfit? We recommend reasonable, short term treatment plans. We work with orthopedic specialists if your condition needs further attention or treatment. "I first went to Dr. Orefice about two years ago. He was recommended to me by a co-worker and I haven't looked back! I would highly recommend him and I do!" "I can't thank Dr. Orefice and his staff enough for their help. My knee now feels 99% better." "Dr. Orefice always explains everything in easy to understand terms. I highly recommend Active Heath!" "I hurt my back really bad at the gym recently. I would highly recommend Dr. Orefice. He provides several treatment options and there is something for everyone!" "Dr. Orefice is professional and provides a great service! I am back to running after a month and half of treatments. Thank you Dr. Orefice for "fixing" me!" "Great experience! Friendly and professional office. Dr. Mike Orefice is incredibly knowledgeable and spent the right amount of time to really help fix my pain." "Dr. Mike Orefice has been great! When I first came in the pain was so bad I couldn't stand to be touched. I'd recommend Active Health!" "Seriously, I can't recommend Dr. Mike Orefice and his absolutely, positively awesome staff enough!! If you need proof- come meet me for a run!" "Dr. Mike Orefice worked on me for three months and I haven't felt this good in years! I highly recommend Active Health." "Dr. Mike Orefice is a consummate professional, very glad he is on my wellness team! He has been attentive to my all my Chiropractic needs."